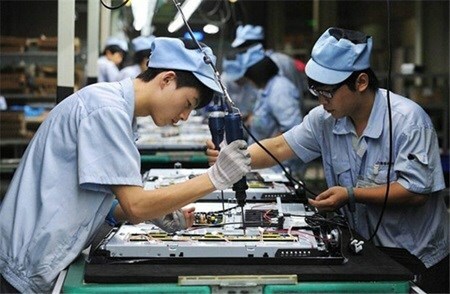 Hanoi (VNA) – The Vietnamese Purchasing Managers' Index (PMI) increased to 51.5 in January from 51.3 in the previous month, according to a Nikkei report released on February 1. Growth was maintained in the Vietnamese manufacturing sector during January as the output rose on the back of stronger increase in new orders. Further deflationary pressures from global commodity markets led to faster reductions in both input costs and output prices during the month. The reading signalled a second consecutive monthly strengthening of business conditions, with the health of the sector improving at a slightly greater pace than what was seen at the end of last year, it said. New orders increased for the second successive month in January, and at a solid rate, which was faster than that recorded in December. Firms reported that rising client demand had been the main factor leading to a rise in orders. New export businesses also increased during the month, albeit at a weaker pace. Input costs continued to fall last month, extending the current sequence of declines to seven months. Moreover, the pace of reduction quickened from that seen in December, with panellists linking lower input prices to falling costs for commodities including oil. Commenting on the Vietnamese Manufacturing PMI survey data, Andrew Harker, at Markit, which compiles the survey, said that the most pleasing aspect of the latest set of manufacturing PMI figures for Vietnam was a quickening in the rate of growth of new orders at the start of this year, showing that local firms are still able to generate new business despite a challenging global environment.